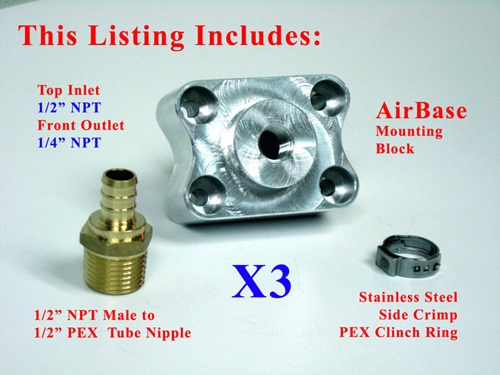 Plumb your shop for compressed air using our AirBase mounting blocks and inexpensive, locally available PEX style poly tubing. 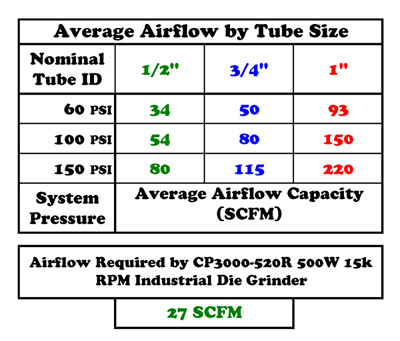 Easier to install and less expensive than other "ready made" kits, our AirBase system uses no proprietary fittings and ships far more economically without the bulk of coil tubing. Buy the tubing locally at any home improvement store for $0.35-$0.45 per foot instead of paying $3.00-$4.00 per foot plus shipping. Poly tubing flexes around corners and into cramped spaces, requiring very few fittings. No elbows or unions are needed to change direction of the tubing run, simply bend the tube along your desired path and secure it to the wall. 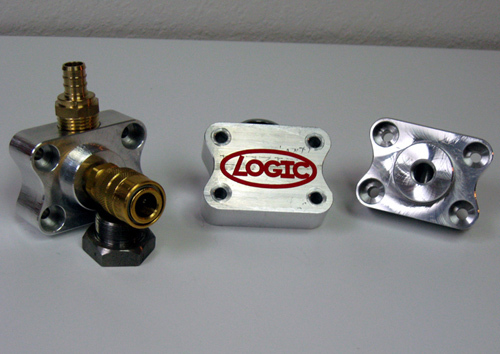 The only fittings required are "tee" fittings at every point where a drop branches off the main run. Easily add new drops any time your situation calls for it by cutting a new tee fitting into the main where you want the new drop. That's all there is to it. 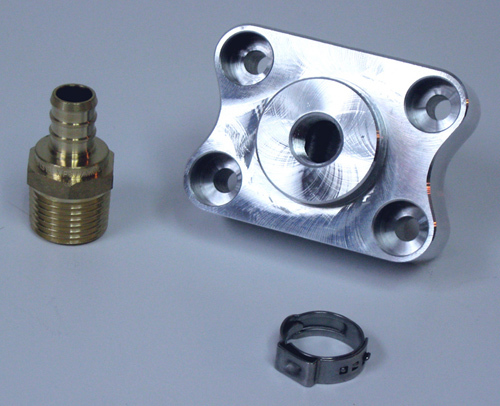 No quick disconnect coupling fittings are included with our AirBase kits. The Milton coupler in the photo above is shown strictly for illustrative purposes. Milton is in no way associated with Logic Industries LLC, and the dipiction of their fittings in no way indicate an endorsement by Milton of the AirBase plumbing system.